Are you looking for an RV that can sleep a large family, is lightweight, and affordable? If so look no further than the Hideout Travel Trailer 185LHS. We’re delighted to offer this RV, which sleeps 7 people, at 27% off. That’s only $136 a month! 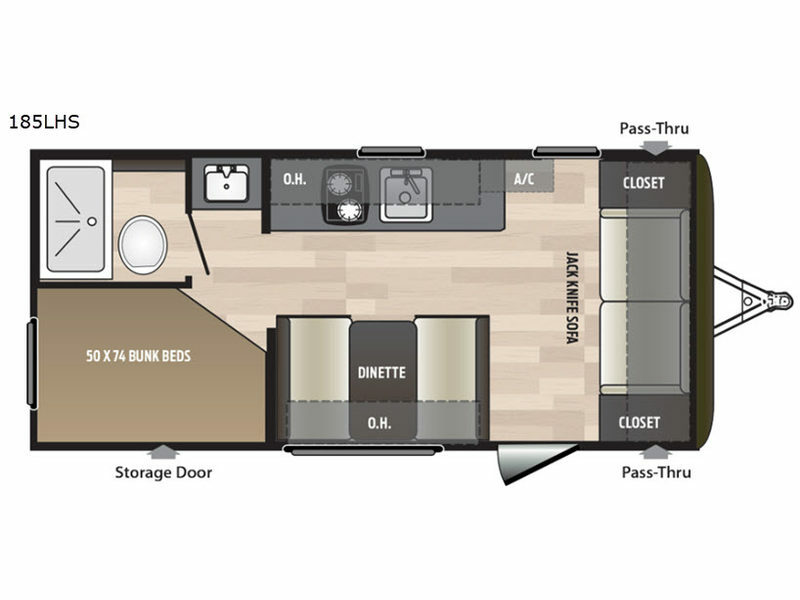 You are sure to love how this RV offers you all the comforts of home, without costing an arm and a leg. In fact, this RV was made for families. Double Bunk Beds – great for the kids to have a space of their own. Jackknife Sofa – perfect place to relax and watch a movie. Sleeps Seven – the kids can even bring friends along. Pass-Through Storage – store all of your camping gear and extra comfort items. At the rear of the RV you will find double bunks, which make a perfect place for the kids to relax and unwind. One of the best things about the bunks is that they provide kids with privacy and give them their own space so that mom and dad can enjoy their time relaxing at the front of the RV. One of the best things about bunks is that they take up a small amount of space, yet can sleep more people. When traveling with a large family (or the kids and their friends), you undoubtedly will need a lot of space. You’ll appreciate the extensive storage offered in this RV. 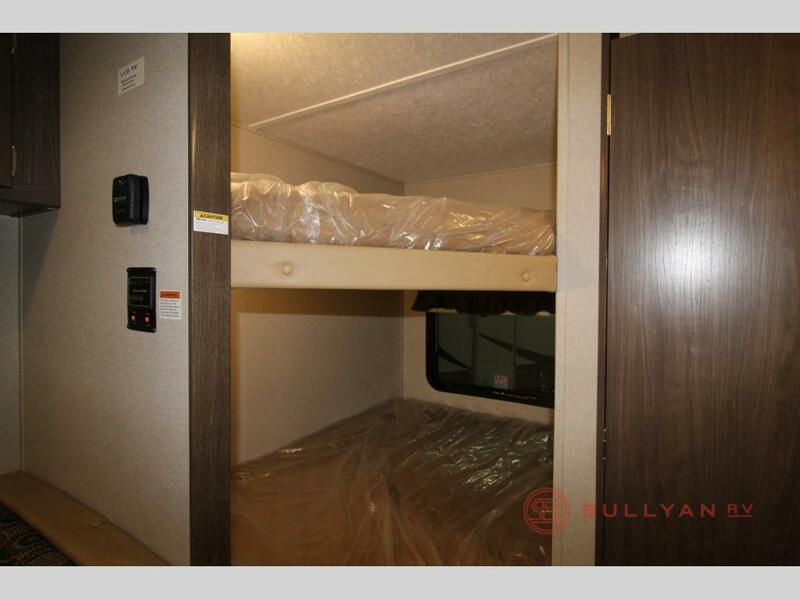 From pass-thru storage for all your camping gear to a well equipped kitchen with gorgeous cabinets to tons of overhead storage, there is space for everything you need to enjoy your time on the road. The spacious kitchen is a delightful place to create meals, while overhead storage offers space for all of your kitchen gear. You’ll also enjoy meals at the large dinette. You’ll love how the rear bathroom offers a spacious shower and toilet that’s conveniently located for everyone to reach. The kitchen, located at the center of the back of the RV, offers overhead storage, a two burner range, and sink. 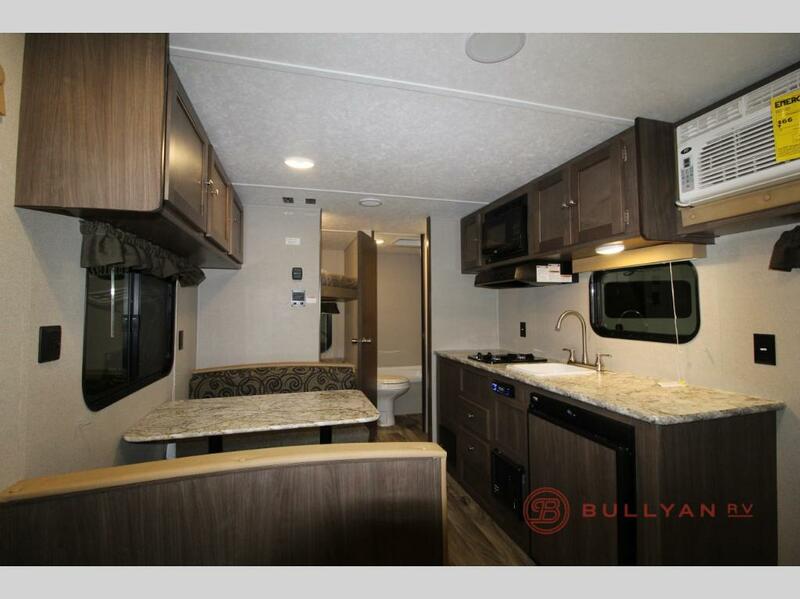 You will love creating delicious meals in this RV. If you’re interested in learning more about our selection of Hideout travel trailers for sale, contact us. We can help you find the best RV for your needs and answer any questions you have. We can also assist in RV financing.